Barack Obama speaks during the Opening Session of the Obama Foundation Summit. During his speech, he said it is important to support young community leaders so that they can expand their influence beyond their local roots. Though he might not have “set the world on fire” as a community organizer on the South Side of Chicago, former President Barack Obama said he learned about the power local efforts have to provoke change. 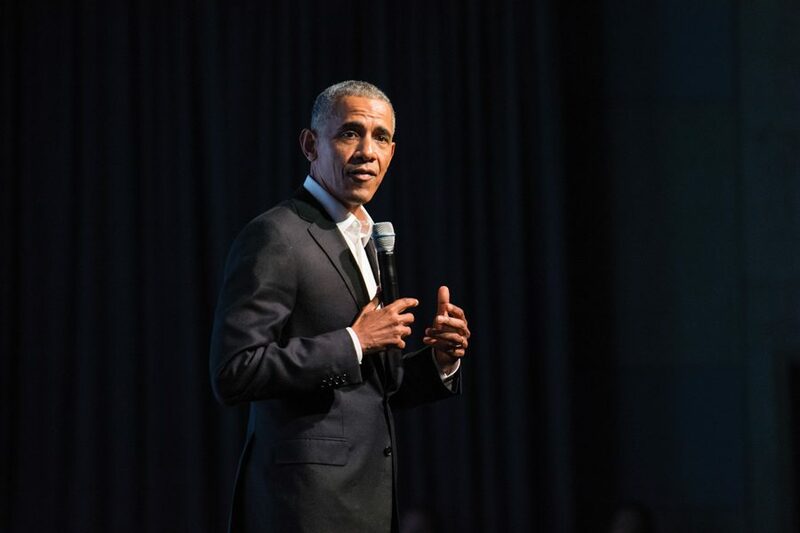 In an effort to bring young civic leaders together, the Obama Foundation held its first summit in Chicago on Tuesday, bringing together more than 500 civic leaders. The summit is a “big brainstorming session” held to learn what young people need and enjoy as community leaders, Obama said. Speakers included Chicago artist Theaster Gates and Prince Harry. During his time as president, Obama said he was inspired by the young community leaders who carried a desire to make a difference. He said the Obama Foundation aims to support these leaders so they don’t just root themselves locally but also “germinate” and bring change to the entire world. The summit, Obama said, should not be political or partisan. Instead, attendees should discuss civic culture and be willing to listen to others with an open mind. Josiah Golson, who attended as a representative of 800 Collective –– a group that aims to address social issues through art –– said Obama’s speech was motivating. “(The speakers) were incredibly eloquent but frank and inspiring and realistic about the times we’re currently in while recognizing the potential of this room and people outside of here to do something about it,” he said. Sanchana Krishnan, who traveled from India to represent a storytelling project called Living Stories, said she agrees with the summit’s emphasis on building community. She added that the emphasis on individualism in society alienates people.